New to Christianity? Rethinking your faith? 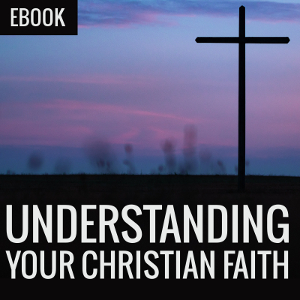 Understanding Your Christian Faith will show you how to experience God in a deep and meaningful way. I just wanted to share this quick announcement about the release of this new e-book. Why do people “pray the prayer,” but their lives don’t change? Are we all dirty rotten sinners? If God’s “plan of salvation” is so simple, why does Jesus use a different approach every time He talks to someone? What’s keeping us out of heaven? Is it guilt? Or is it something else? Is “try harder” the only prescription we have for the struggling? If we’re hurting, does Jesus care? If He does, how does that help? If we’re saved by grace, why did Jesus tell the rich young ruler to sell everything he owned? Why doesn’t the Bible line up with my theology? Sure, Jesus saves us from our sins. But what about the sins that have been committed against us? What is the “good news” in the gospel?